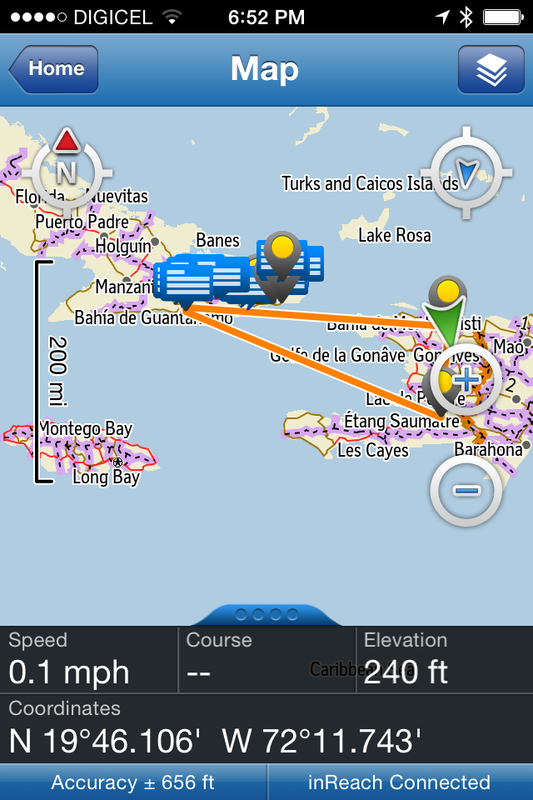 In June 2014, in the context of the Panama Canal centennial, I performed a kind of “black ops” crossing of the Windward Passage, the 50-mile-wide strait between Cuba and Haiti and the only deep sea-lane from the eastern US seaboard to the Canal. Crucial to US interests by the 20th century, the US commanded the Passage from its military base at Guantánamo (GTMO) and via occupations of Cuba and Haiti (1898-1934). The aim was to control the route to the Canal and monitor the countries, which were perceived as unruly sites of black resistance. The Passage is the very reason GTMO is located where it is; US patrol of the waterway continues today. My question was “who can cross the passage, in which directions, and in what manner?” I had proposed to sail across the Passage and theorized that regardless of outcome the attempt would reveal information about the geopolitical zone. But crossing by water was only possible by illegal or risky craft. No US-based or licensed boat rental company sails into Cuban waters because of the US embargo and Cuban maritime border regulations. 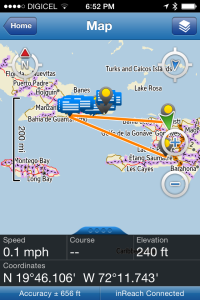 No commercial boat from the DR crosses because they uphold the embargo. No Cuban tourist rentals leave national waters without breaching their own maritime laws. Cuban border guards vigilantly patrol Cuban coasts and the easternmost point of Cuba closest to Haiti, the Punta de Maisí, is most highly patrolled because of increased drug and human trafficking as well as regular illegal Haitian immigration. While some Cubans legally travel abroad since 2013, they do so primarily by commercial air travel because airspace crossings by documented subjects who pay the price of a ticket are more easily monitored than water crossings. I also crossed by air. 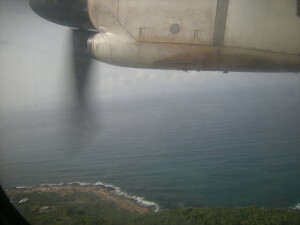 I flew from Miami to Santiago de Cuba. From there I took a bus to Baracoa to find a way to the restricted and well-patrolled Punta. Wearing my black-case GoPro, I rode in a 1953 Jeep to the Passage and nearby cemetery where they bury Haitians who die crossing. Accompanied by a Cuban friend of Haitian descent, we paused under the watchful eye of border patrol while he said a prayer at the edge of the water. Several days later I flew to Haiti carrying at his request objects to float in the water on the Haitian side.